Sifting Through the Past Donald Gaylord's Spring Term class introduced students to archaeological lab methods through hands-on experience, readings and field trips. On a warm May afternoon during Spring Term, as Katherine Pranka ’18 cleaned what appeared to be a snail shell, a clearer picture of the past emerged. The shell, one of several artifacts excavated only a few feet from what is now Washington and Lee University’s back campus, must have come from dirt where a kitchen house once stood, and where the snails were attracted to discarded food scraps. 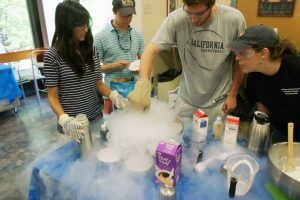 Pranka and other students were involved in the dig as part of Laboratory Methods in Archaeology, a Spring Term course taught by research archaeologist and instructor Donald Gaylord. 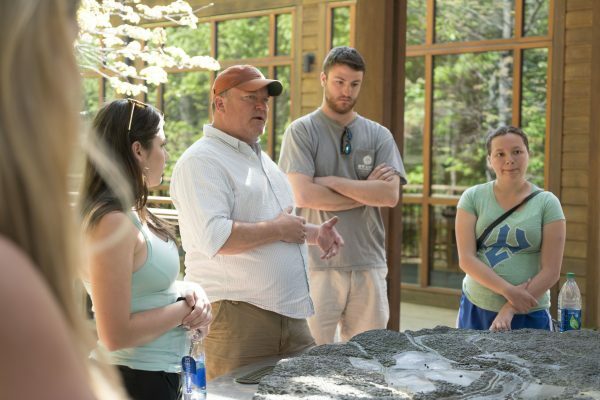 The course introduces students to archaeological lab methods through hands-on experience, readings and field trips. Students processed and cataloged archaeological finds with the goal of answering questions about the historical intersections of race, class and gender during W&L’s earliest years. 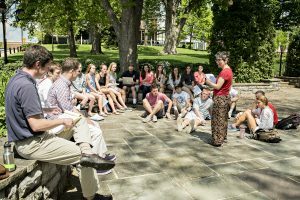 During this year’s Spring Term course, students analyzed material from the 18th and 19th-century site of Liberty Hall. The class also traveled to archaeological sites and museums around Virginia to get a better understanding of how they conduct their research. Field trips included visits to the Jamestown and Colonial Williamsburg Archaeology Lab, Thomas Jefferson’s Monticello and the Virginia Museum of Natural History. 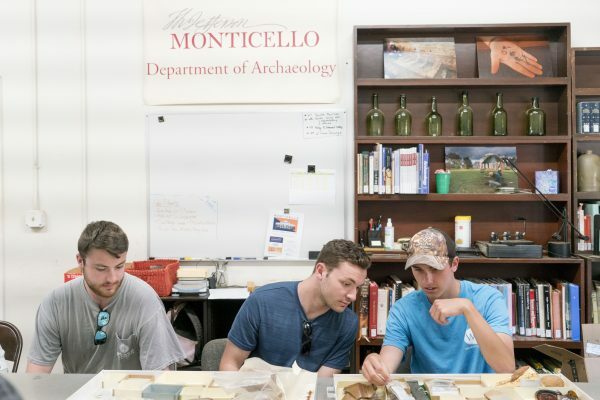 Students in the Spring Term course Laboratory Methods in Archaeology explore the archaeology department at Thomas Jefferson’s Monticello. 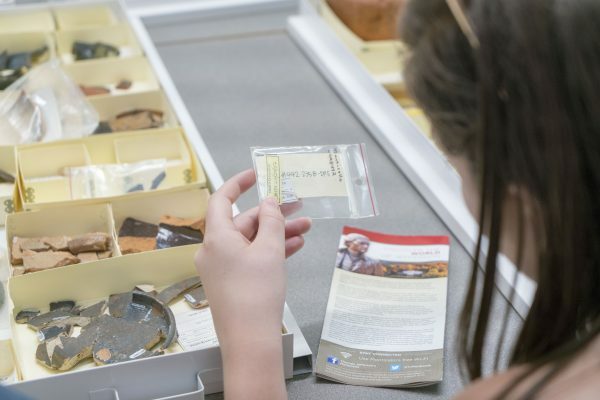 When students were on campus, they could be found working in separate groups cataloguing and labeling the artifacts excavated at Liberty Hall. In addition to the snail shells, students found evidence of nails and glass, further affirming that there had indeed been a thriving campus and farm only feet away from what is now upper-level housing. Most of the students in the class had no prior interaction with archeology before taking the course. In fact, most of them weren’t even archeology majors or minors. However, despite the different majors, Gaylord says archeology has a little something for everyone.